Event Registration - refresh. restore. renew. YOU. Register Now and Get a Free Pre-Planning Guide Download. Sign up here for fasting support. It's FREE! Save 20% When you order by January 6, 2019. Get a free digital download with the purchase of this 21-Day fasting journal-zine. Regular price, $21.99*. Don't fast without support. This Journal-zine will help you stay on track for your 21-day fast. Includes daily devotions, journal pages, vegan recipes & much more. It's the most comprehensive and easy to use format for fasting. Sign up by January 1st and we'll include 3 free group coaching. Pre-planning starts the first week in January. December 30-January 5th. Fasting begins on January 6 to January 26th. Legacy Planning (Relationships, Health, Finances) Coaching Sessions: February 15 - 29th, with Bonus VIP session. ​God has a great plan for your life! When Daniel (chapter 10) needed insight and clarity into Gods plan for his life, he fasted for 21 days. The result? Supernatural success! We serve that same God today. His Word states, "In all your ways acknowledge me and I will direct your path" (Prov. 3.6). So Don't go it alone! Join the fast and breakthrough into the supernatural to receive great success in 2018. Take your health (emotional & physical), finances, and relationships to another level. In just 21 days, you can expand your capacity to hear God about HIS plans for your life. 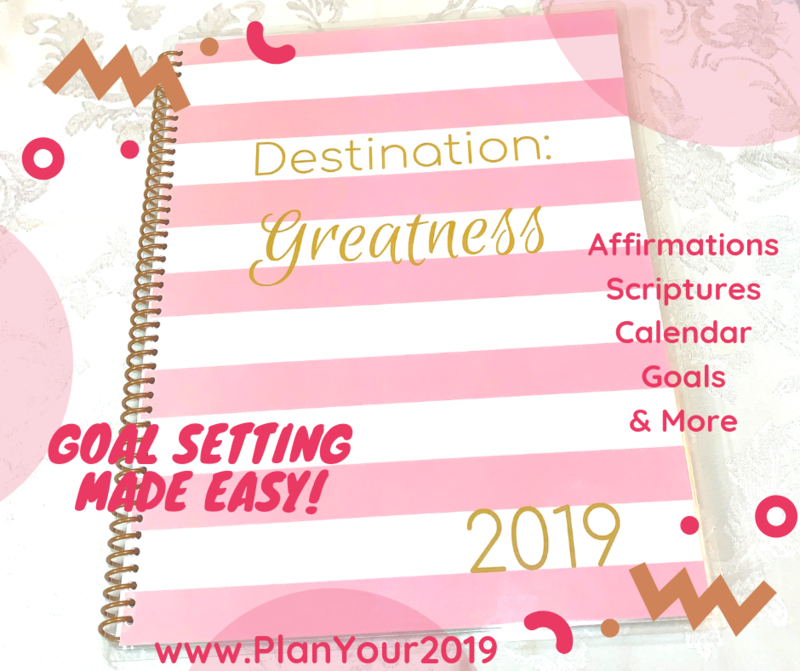 Our fasting journey ends with a vision and planning section to ensure that we begin 2019 ready for Greatness. Be sure to take advantage of the free fasting support available by Dr. Janis during this fast. This year's edition includes vegan recipes, journal pages, vision/goals worksheet, grocery lists, & more. Get your copy of this comprehensive guide for a successful fast. ​Just choose the option that meets your needs. Options range from Daniel Fast (vegan) to simply fasting from a habit (ex. TV show) or a particular food (ex. coffee, meat). It's up to you. 1. A Bible- It's our main resource. God speaks to us through His Word. 3. Refocus21 Journal- To stay on track and write what God is saying for each area of your life. We'll use your journal at the end to create our annual goals and vision for 2019. Optional: Join our complimentary 3 week group coaching sessions for fasting support and inspiration. Get more info from your pre-planning guide. For a Digital Copy only, $7.99). "This 21-Day Fast and Daily Journal changed my life last year. I am super excited to begin again, and can't wait to see what God has in store for me this year"! "I am enjoying this 21 day of fasting. I thank God for instilling this in you and wanting to coach others. I am using my journal and following along. I'm liking these new recipes. Hmmmm. Might just be my new way of eating. God Bless". I ended my 40-day Daniel fast on Tuesday and went for my physical yesterday. Awesome results! Since I started the Daniel Fast, my cholesterol has dropped over 50 points and I lost 10 pounds!!! The doctor told me to keep doing what I was doing because when I was there just a few months earlier, my cholesterol was high!! To God be the glory!!! I never told you I am type 2 Diabetic . When I did the fast I did the no meat on. I change the way I eat . I still stilll stick to a lot of the things that I ate during the fast . When I went to my specials for my Check up last month , she told me that’s the best she have see my sugar level . She say she never seen it that control . She decrease my medication. Now am taking a less dosage . After the fast, stay balanced and get support to plan your year of greatness in all areas of your life. Elevate your dreams with a solid plan to take you successfully through 2019. Legacy Planning includes copies of your personalized Vision Journal, Vision Planner and 3 coaching session. You also get a bonus VIP session (one-on-one laser coaching) to build your foundation of your legacy. Register today and don't just dream, plan and achieve your goals this year.